The International Business Council (IBC) Association promotes the creation of an attractive investment climate in Kyrgyzstan, promoting the necessary legislative acts and effective business methods and cooperating with state authorities, both local and international organizations. Today we can proudly consider ourselves as one of the largest associations in the country promoting the interests of members, providing an opportunity to establish business networks in an informal atmosphere at various events of our organization. The IBC is regarded as a reliable and respected partner of the Office of the President, the Government, the Jogorku Kenesh, the Ministry of Economy and other governmental agencies of the Kyrgyz Republic on all issues related to economic development and entrepreneurship. We seek to express the opinion of the business community by strengthening its position in the society and the ability to influence the authorities' opinion in ensuring a better business environment, expanding the existing business and attracting new investors, thereby contributing to the economic development of the Kyrgyz Republic. All the activities of IBC are transparent, annual reports can be found here. 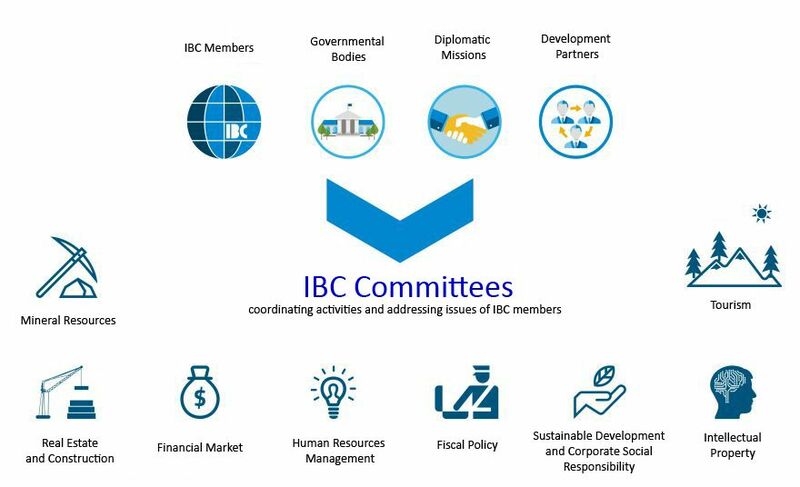 The IBC is one of the leading non-commercial organizations that influence state policies on the development of economy and entrepreneurship in the Kyrgyz Republic. The IBC is a member of several platforms that aim at the creation of favorable conditions for doing business. The IBC takes an active part in the legislative process, providing its comments and recommendations to various draft normative legal acts, which are further taken into account by public authorities. In 2013, as a result of the IBC work, an amendment to the Article 217 of the Tax Code of the KR was revised. According to the amendment, which came into force on 1 January 2013, business enterprise and other economic entities since then are obliged to pay on a quarterly basis a provisional amount of income tax at a rate of 1% of revenue. IBC did not agree with the amendment since payments made in advance constitute a pre-payment on the income tax. Accordingly, the calculation should have been made in line with the tax base on income tax. The draft bill (amendment to the Article 217 of the Tax code of KR that brings all sides into original position) was adopted in three readings and signed by the President on 18 April 2013. Besides the above-mentioned draft bills, IBC actively participates in the discussion of other normative legal acts, including the draft bill “On introduction of addition to the Law of the KR on banks and banking activity in the KR”, which stipulates a ban for banks to carry out any banking operations and transactions in offshore zones; new draft bills “On free economic zones in the KR”, “On introduction of amendments to the Tax Code of the KR”, as well as a draft constitutional law “On administrative activity and administrative procedures”, and many others. 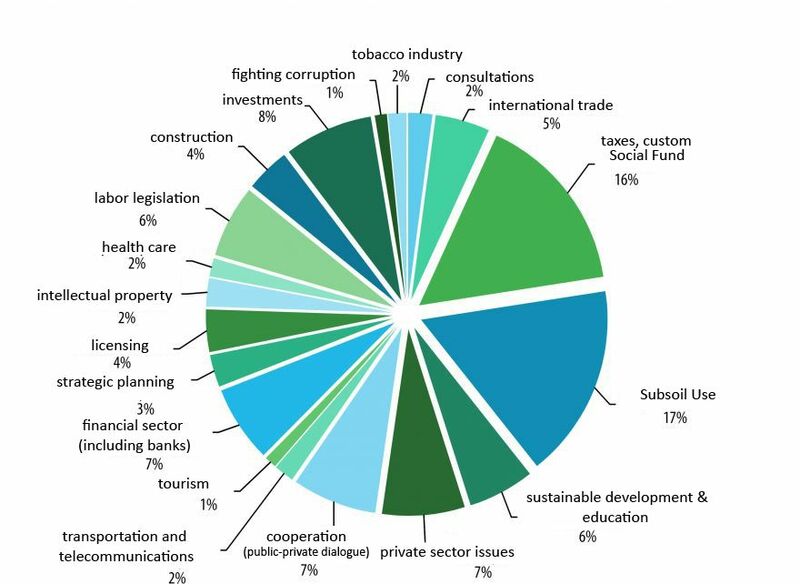 Apart from the main operational and institutional activity, IBC participates in the implementation of various projects supported by international donor organizations. On 6-7 December 2012, a two-day regional conference on tourism was held in Bishkek - “On the way to the joint promotion of tourism in Central Asia”. In 2013, IBC implemented the USAID Local Development Program project “Towards designing a roadmap for a 20-year national economic development strategy in Kyrgyzstan”.